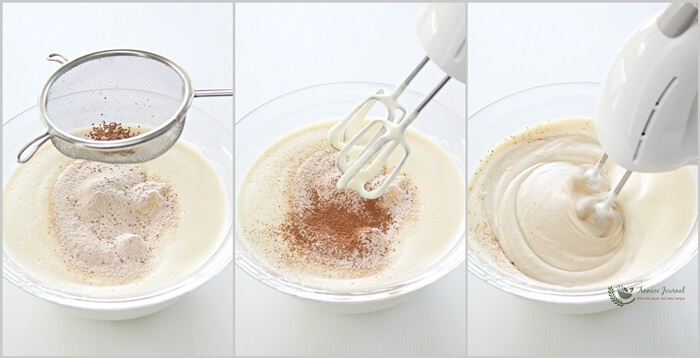 In mixing bowl, add eggs, vanilla extract and sugar together. Then beat mixture at high speed for about 15 minutes till thick and fluffy. Sift the flours the second time in 2 batches to the egg mixture until combined at low speed. 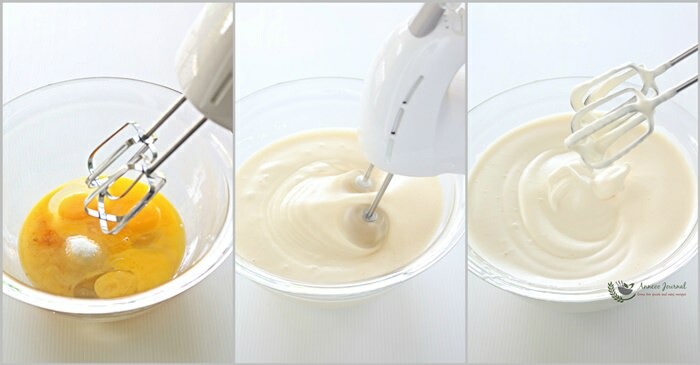 Then use a rubber spatula to fold well the batter. 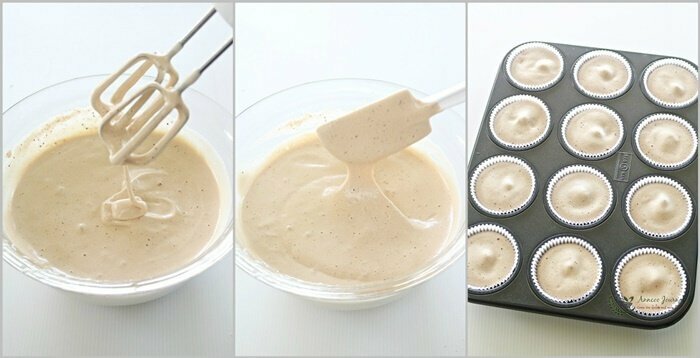 Scoop batter into muffin pan lined with cupcake cases to almost full and gently tap the muffin pan to release air bubbles. Bake in preheated at 180 deg C for about 30 minutes. 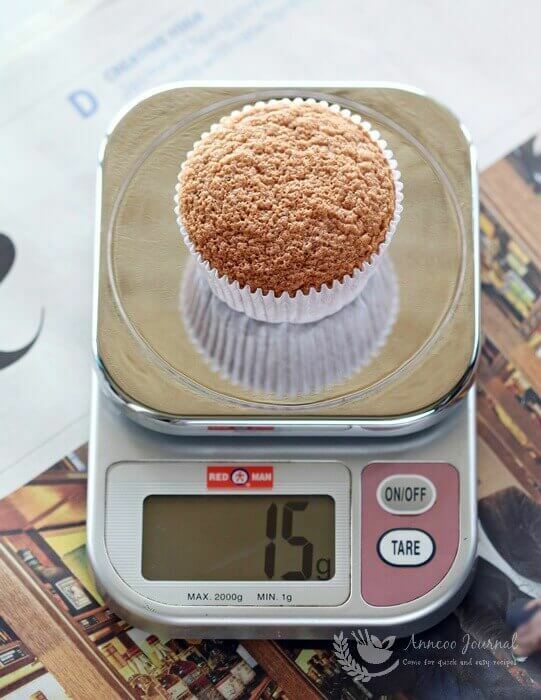 Drop the muffin pan onto table top a few times once it is out of the oven to release hot air (this is to prevent the cakes from too much shrinking). 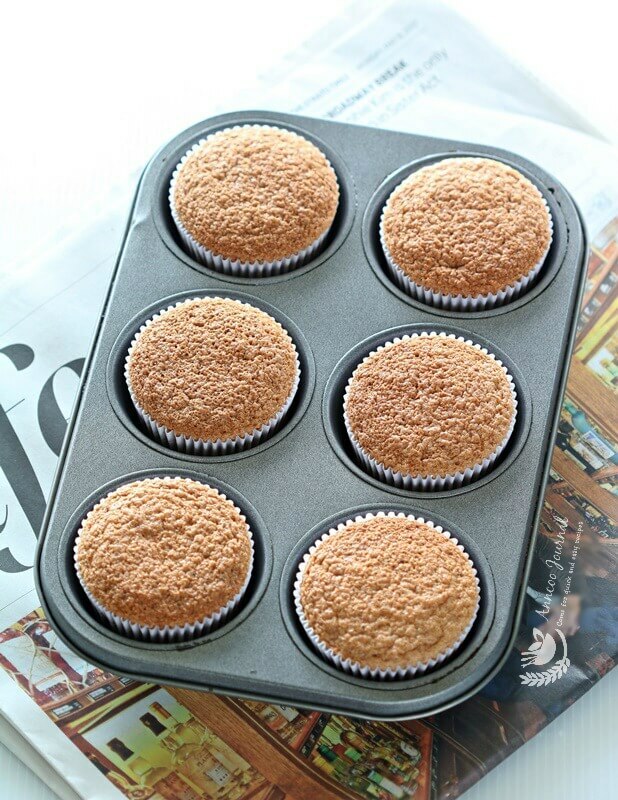 Leave muffins to cool before consuming. Ann thanks for the recipe. I have baked it. But the top is not as smooth as yours. My kids love it and so am I. 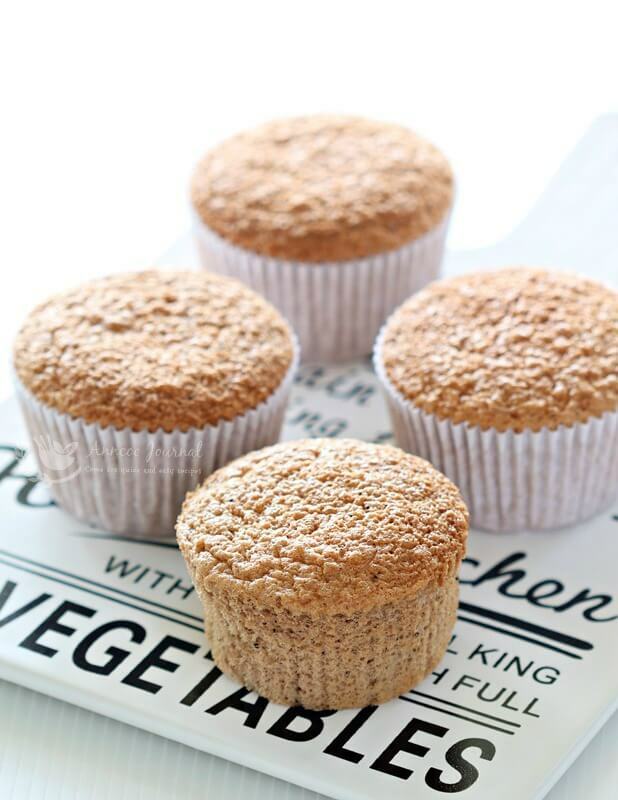 Soft and airy…are they easy to remove from the paper cup or are there some crumbs still stuck to them? 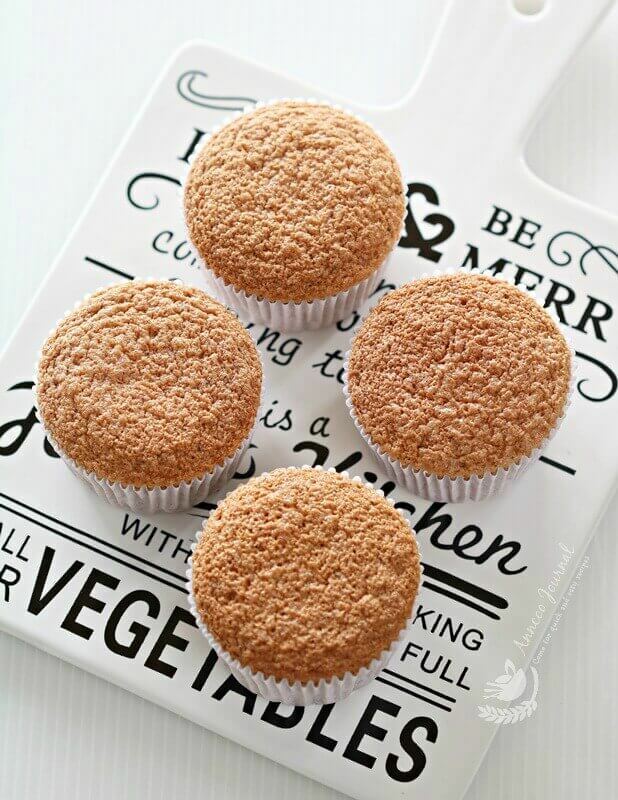 Hi Angie, The small cake looks smooth at the sides as it is quite easy to remove from the paper cup.